Explanation: Described at times as a big blue marble, from some vantage points Earth looks more like a small blue marble. 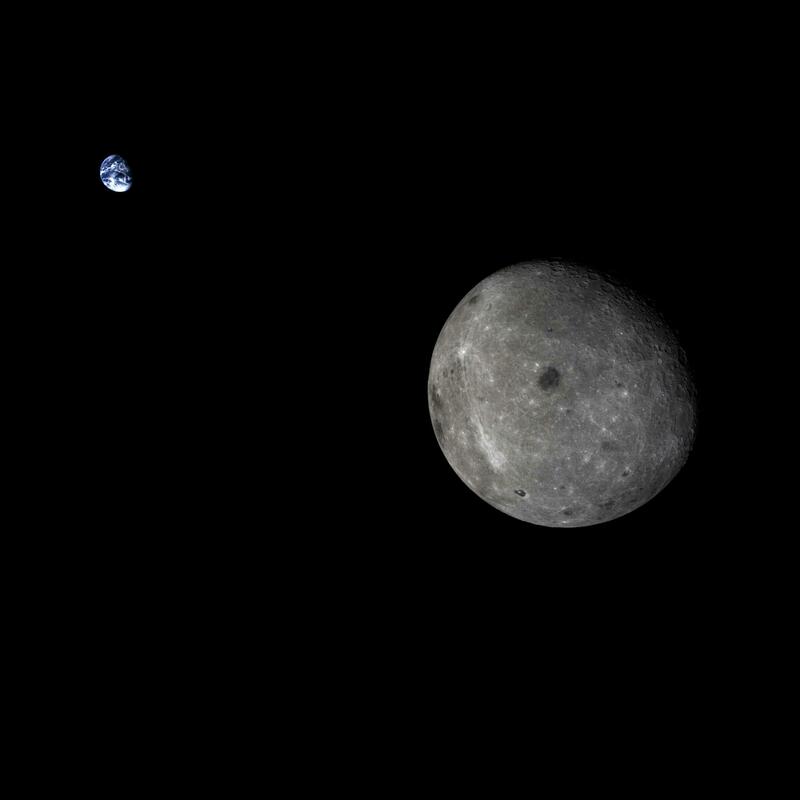 Such was the case in this iconic image of the Earth and Moon system taken by the Chang'e 5-T1 mission last week. The Moon appears larger than the Earth because it was much closer to the spacecraft's camera. Displaying much of a surface usually hidden from Earth, the Moon appears dark and gray when compared to the more reflective and colourful planet that it orbits. 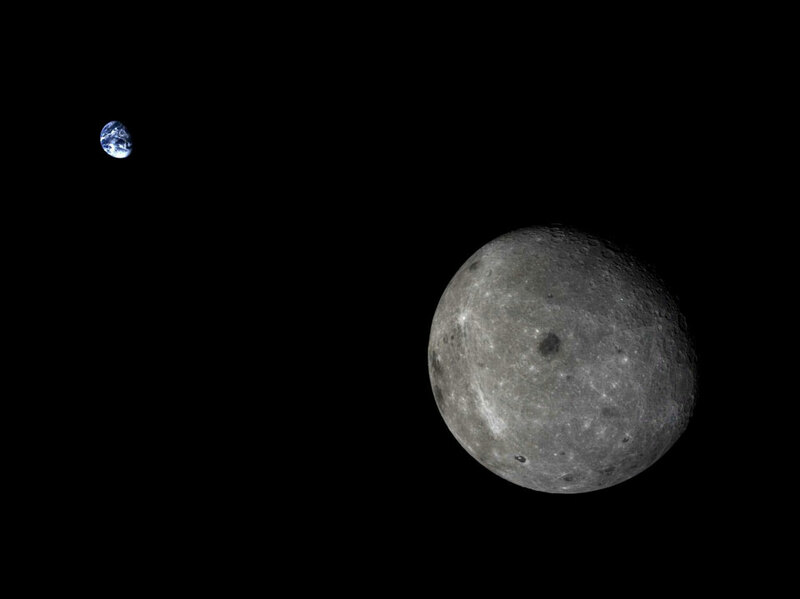 The robotic Chang'e 5-T1 spacecraft, predominantly on an engineering test mission, rounded the Moon last Tuesday returned to Earth on Friday.